For 15 years, Mary Alexander has administered the Maryland Historical Trust’s Museum Assistance Program, offering all manner of assistance to Maryland’s museums, particularly those classified as small. 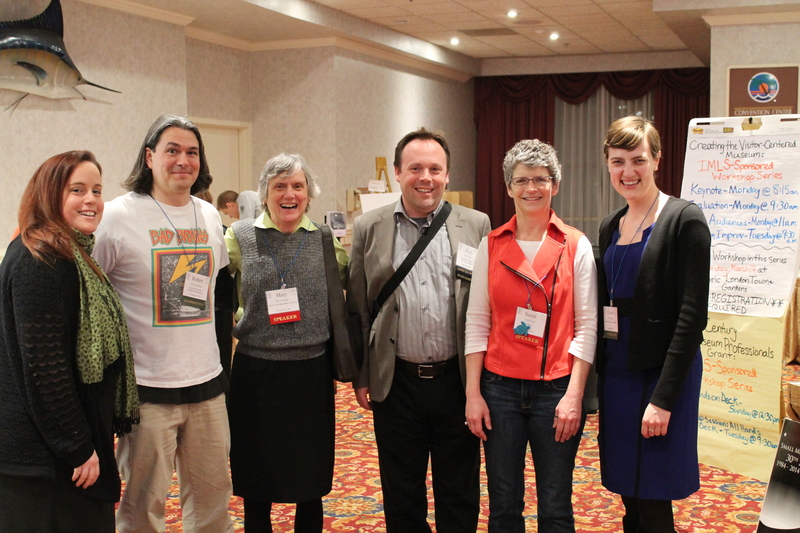 Left to right: Lindsey Baker, Rob Forloney, Mary Alexander, Rod Cofield, Sarah Brophy, Allison Titman at the February 2014 SMA conference in Ocean City. Pictured left to right: Joyce Leviton (Senator Cardin’s Office), Kim Popetz (MAC Lab), Christiana Nisbet, Jeff Cunningham, Madison Wilson, and Patricia Samford. 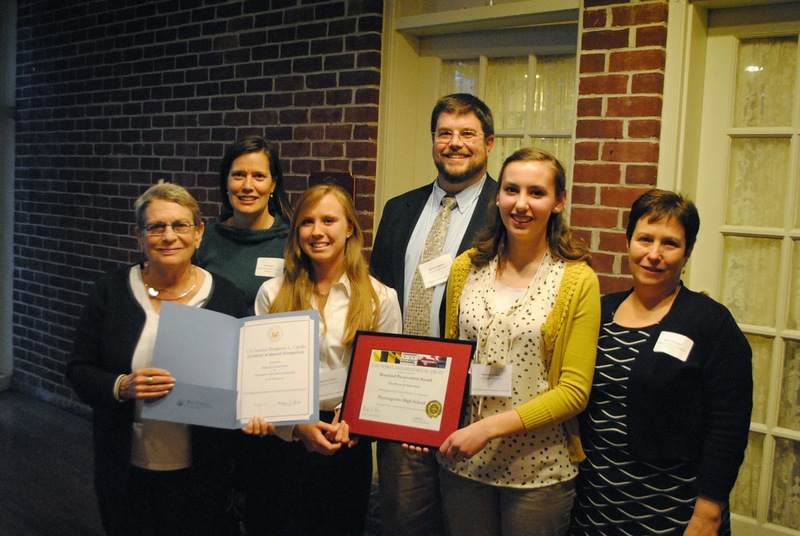 A team of high school students from Huntingtown High School (HHS) who researched a mid-19th century privy pit as part of an archeology project with Jefferson Patterson Park and Museum (JPPM) and discovered a wealth of Civil War-era household items, was recognized yesterday with a 2014 Maryland Preservation Award from the Maryland Historical Trust.